When you’re the queen of England, having a steady income is probably not something you really need to be stressin’ about. When you’re Queen Elizabeth II, it’s something you really don’t need to be stressin’ about. 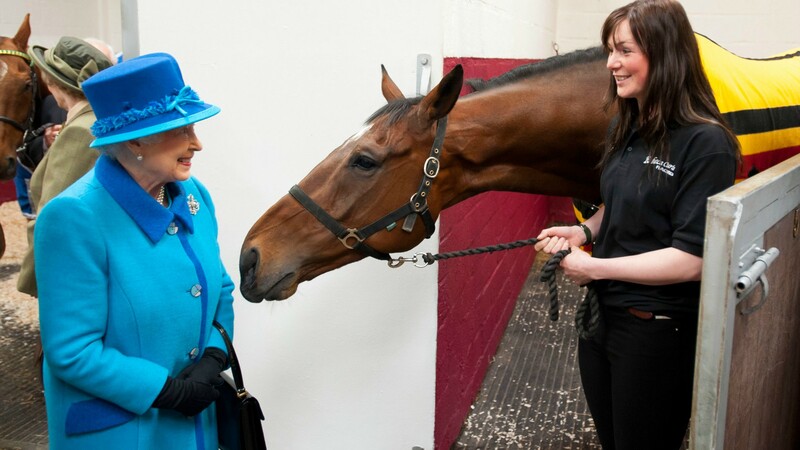 Queen Elizabeth, who has owned horses since she got her first Shetland pony at age 4, has built up quite an impressive stable of racing thoroughbreds. And throughout her life, the queen has won nearly $9 million in race purses because of those thoroughbreds. According to CNN, Elizabeth’s horses have won 451 races since 1988, when records became available. That’s out of 2,815 starts, giving her a win rate of just under 16 percent. In both 1954 and 1957, she was named Britain’s flat racing Championship Owner. Those accomplishments and the amount of money she’s won make the queen the 11th-most successful racehorse owner in horse racing history, but the last two years have been particularly successful for her. Last year, her horses brought in $731,413, and so far this year, they’ve won 20 races amounting to $542,531 in winnings so far. The royal family has a long history of raising and riding horses. Elizabeth is an accomplished rider who inherited her first racehorses from her father, King George VI, in 1952. This news really shouldn’t be surprising considering how much of Elizabeth’s life has revolved around horses. Throughout her reign as queen, she’s attended many royal ceremonies on horseback, and in numerous interviews, she’s spoken about her love for horses and the sports surrounding them. Still, $9 million is an astounding amount of money to win at such a difficult and unpredictable sport. Just add this to the list of things that make Queen Elizabeth one of the most badass monarchs in history.